Choosing to have a beard means that you will need to do your best to keep it neat and tidy. 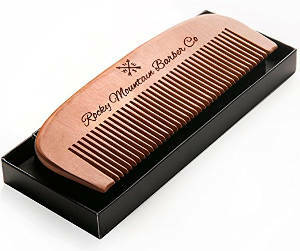 A beard comb is one of those beard accessories that are very much needed to help men keep their beards well groomed. But just what is the best beard comb for men? Today we are reviewing several beard combs that men just love. 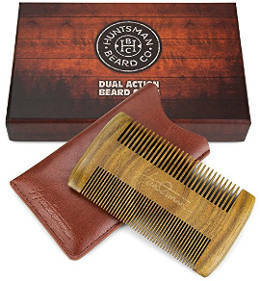 This Dual Action Beard Comb is an elegant and very functional comb that comes with both fine and coarse teeth. It is made from sandalwood and has a nice sandalwood scent. This beard grooming tool reduces pulls, snags and static in your beard and is incredibly durable. It also comes in a premium EDC case and a great looking gift box. People´s ratings and reviews are exceptionally good. Users find that it distributes beard oil throughout their beard very well. In addition, the teeth are carved well which reduces scratching of the skin under the beard and allows you to straighten curly hairs without pulling them out. Moreover, the handy sleeve keeps the comb cleaner and looking like new for several years. 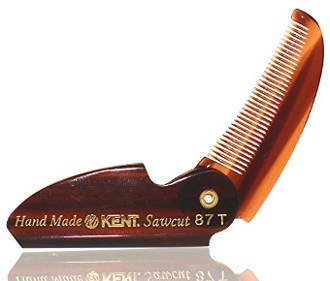 This Kent Comb is 100% authentic and handmade with rounded teeth to help prevent pulling and snagging. It is small, only 73mm, and is better suited for mustaches than for beards even though several men do use it for grooming their beard. Users review that despite being little, this comb has a bit of heft to it since the plastic used is not thin plastic. It also fits easily into a pocket so that you can straighten your beard wherever you are. 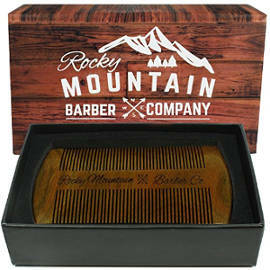 The Rocky Mountain Barber Company beard comb comes in a nice box and is made from organic smoked sandalwood, which results in a nicely scented comb. It is both thick and fine toothed and reduces static and snagging. The handmade finish gives a quality touch to it while the laser cut velvet padded box it comes in makes a great storage receptacle for this tool as well as a great gift. Men like that this comb is sturdy and of a high quality. The uniform length teeth help to groom their beard well with less snagging and pulling, leaving their beard better groomed. It also works great for working oil and beard balm throughout the beard. This two sided Sandalwood comb has both fine and standard teeth. It is a small comb, about 3 ½ inches by 2,” has a smooth finish and a nice scent. The teeth are evenly spaced which makes untangling beard hairs easier and less painful. It also allows you to work balms and oils evenly throughout the beard. Users like that it detangles facial hair of all different lengths. The fact that this grooming tool is on the smaller size makes it easy to carry in a pocket when they are on the go. 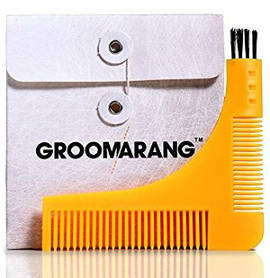 This Groomarang comb tool is extremely versatile and can be used as a template for trimming your beard evenly as well as for grooming it. Full instructions of how to make the best use of this comb tool are available to you with your purchase. Users´ feedback about this product´s functionality is very good. People say that it helps to trim their beard easier and better, keeping it neat and tidy. It actually helps to cut down on grooming time and many men state that it leaves their beard looking better. 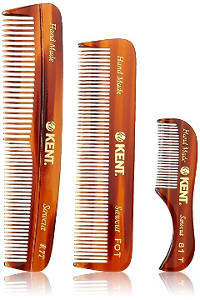 This Kent Men´s Comb comes in a set of 3 with each comb being a different size. The combs are handmade as well as hand polished and have softer rounded teeth. They stimulate your beard´s natural oils as well as help to working added oil or beard balm through the beard. Each comb comes individually packaged, with the smallest comb fitting easily into the pocket making it great for travel. 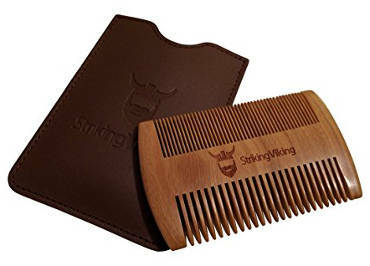 Users like that these combs glide through the beard and don’t leave their beard filled with static. Overall, they find them well made. This wooden beard comb is made of natural sandalwood and is static-free. It is double-sided with both coarse and fine teeth to match all types of hair whether it´s short, long, thin or thick. The sandalwood gives this product a light fresh fragrance and it also comes with its synthetic leather travel case which you can use it to store it or keep it safe when travelling. This comb is durable and can be used both for your beard and moustache. Men love this product because it is static-free, smells really fresh, and makes their beard smell good as well. It doesn´t pull out hair and while people use its wide teeth for combing, they choose the fine ones for smoothing their beard out. The price is good and the only thing that few users would like to be different is the synthetic case which they would prefer to be replaced with a genuine leather one. 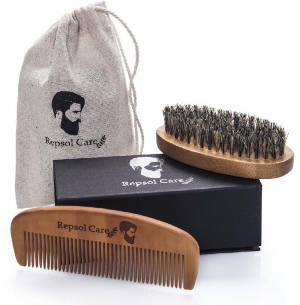 If you like using both a brush and a comb to groom your beard, then this Repsol Care Kit is a very good option. It consists of a wooden boar bristle brush and an anti-static comb with thick fine tooth. This kit comes in a luxury gift box that has magnetic closing claps and you also get a cotton bag that can be useful when travelling. Best of all, it has a 90 day full money back guarantee. If you are one of those guys that want to keep it simple and easy when it comes to their grooming, this brush by Rocky Mountain can make their life a little bit easier since it can be used for hair, moustache and of course beard. 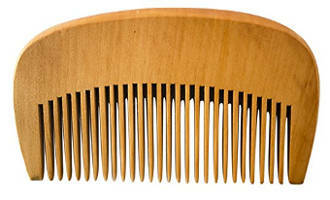 This is a sturdy comb made of wood and has a woodsy smell. According to the company, it is anti-static and good for detangling even the most difficult to detangle beards as well as head hair. Users are very pleased with this comb for their hair and beard. They like that it has the right size and space between the teeth. It is made of thick durable wood and does not snag hair. It is anti-static and great for fine hair as well as big beards. In addition, it is very gentle for the scalp and skin. This beard comb by Beard Care Co. is a very compact, lightweight and durable comb made of strong wood. According to the company, it is small enough for carrying in your pocket while the teeth are thin and sturdy to untangle the beard and help it feel smooth. People are really pleased with this comb’s functionality and effectiveness. It glides smoothly through the hairs without pulling them out. The teeth have the perfect distance and the comb is rounded to conform to the curves of your face and give a gentle massage to the skin. Users also like that it is non-static, well made, durable as well as convenient to carry in your pocket. 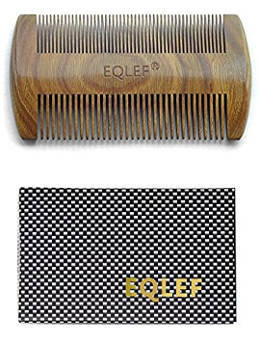 This folding wood comb looks like a really stylish grooming beard comb to own or to offer as a gift. It is made of sandalwood and can be used for head hair as well as beards. Users like that this comb folds up and fits in the pocket without getting snagged. It is also sturdy and well constructed. The screw that keeps the two pieces of the comb together may loosen but you can easily tighten it. This folding comb by Kent Combs is said to be of a very limited edition. It is made of saw cut plastic and can be easily carried in your pocket. 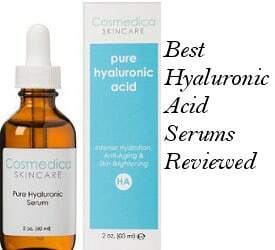 Users’ reviews mention that the teeth are fine as well as smooth and comb beards well although there are not so many detailed reviews about its effectiveness with beards. People say it is of a good size and durable while some others don’t like the rounded tip and would prefer a straight one. 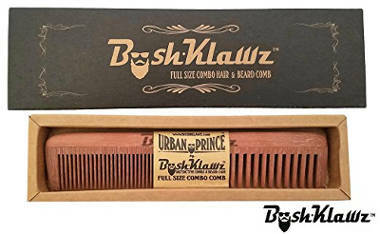 This Beard Comb by BushKlawz is 7 inches long and consists of both fine and wide teeth that will be suitable for different types of hair and hair grooming purposes. It is also made of pear wood, it is anti-static and has a solid design. 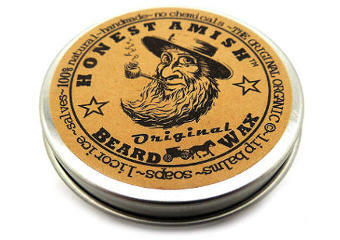 Users like that they can use it both for their hair and beards and say that it is solid, sturdy and well made overall. This Kent Comb measures 1 x 1 x 5 inches and is made of tough plastic. 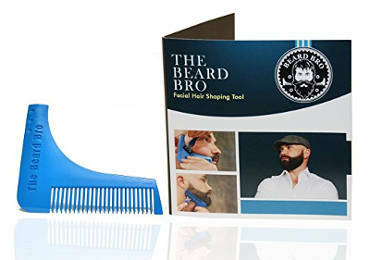 It does not pull on the beard and users say that this is a great little comb. They also like that they can carry it in their pocket and find it durable. There were few users though who said that this comb didn’t get into their beard well because the teeth are too close, which makes this comb better for their moustache or shorter beards. 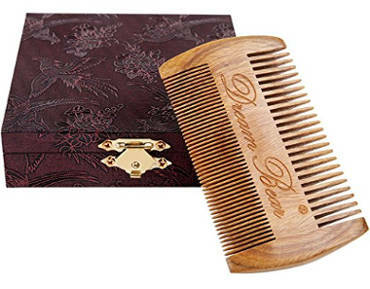 This DREAM BEAR® comb is handmade of sandalwood. Its dimensions are 3.9 x 2.2 x 0.3 inches so it can fit a pocket depending on its size of course. It is double sided and has the natural smell of sandalwood. It also comes in a gift box which might not look as the most manly box to keep a man’s beard comb in but you can ignore that since the comb comes anyway at a very low price and its quality is very good. Users like the fact that it works fine, it is anti-static and has a smooth finish and a great fresh smell. 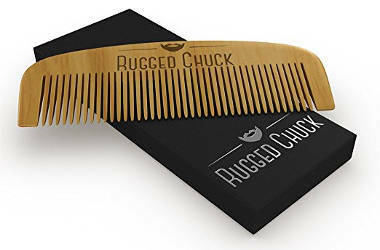 This Rugged Chuck Beard Comb is hand crafted and made of solid natural pear wood. It is anti-static as well as lightweight and can be used both for your beard and moustache. It comes in a gift box and is backed by a full money back guarantee. Users say that the teeth are neither too close nor too wide and they work well for thick beards although there was some feedback about the comb not doing equally well with shorter hair. Other than that, people like its sturdy build and mild aroma as well as the fact that it doesn’t pull out hair and gives a nice chin massage. The wood feels smooth and nice when combing your hair. This Beard shaping tool is made of plastic. 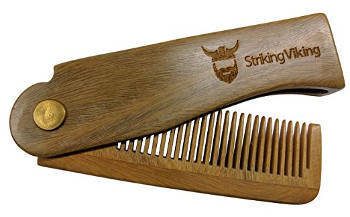 It has teeth so it looks like a comb but its main role is to help you shape your beard in a variety of styles. 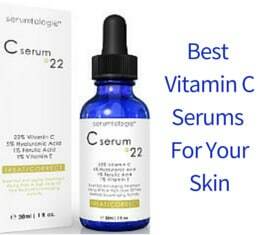 It is particularly useful for neck as well as top lines and is suitable for both short and long beards. In addition, it can be used with your clippers or straight razor and comes with a helpful guide. You can also find some useful videos on YouTube. Users say that it takes some time to get used to it but it does work for most of them. To conclude, if you are looking for the best beard comb, our options above will give you a good idea of good quality and stylish looking combs that will work great for your beard, moustache and in some cases even your hair. For more beard grooming options, you can have a look at our best beard brush review.